This is the autumn of the lip. Lipstick is back in a big way – and your #NBF will be a lip brush, trust us, for precision application. Don’t be surprised if accordingly you see quite a few new ‘lip loves’ on this site in the weeks to come – because a new lipstick is quite the best way to ease yourself into a new beauty season, especially when they’re as gorgeous as these new Guerlain limited edition Kiss Kiss Colours of Kisses, in their gorgeously glossy packaging. 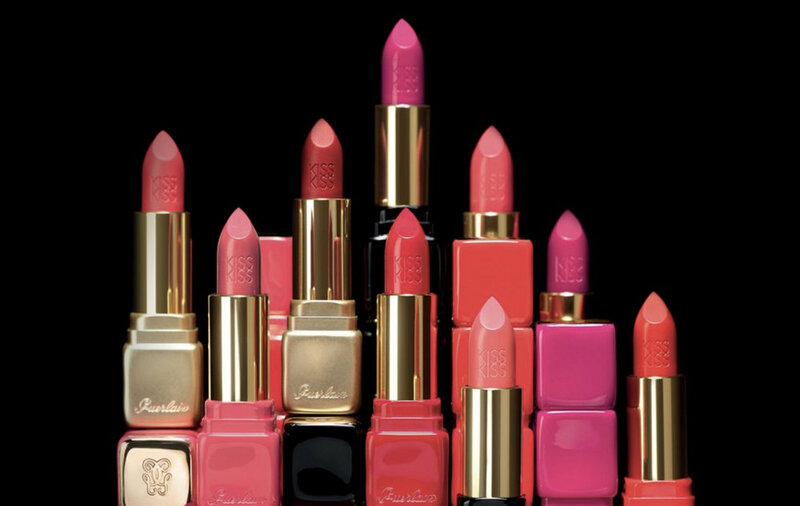 The cases match the lipsticks themselves, a capsule collection of five classic shades from the pillarbox red Rouge Kiss 325 to almost shocking pink Excessive Rose 361. But what we also love – beyond the packaging and the shade edit – is the feel of KissKiss, with its creamy texture, featuring lip-loving ingredients like mango butter, comiphora oil and plumping hyaluronic spheres. All of which combine to make this a seriously comfy lipstick, as well as a mega-chic one. One last bonus? The gorgeous violet-rose, Mummy’s handbag scent. Because if you’re going to do this lip thing, might as well do it properly.